Elizabeth Holmes caught up with Miles Berry to discuss the benefits and ethical dilemmas of bringing AI into the classroom. The potential role of artificial intelligence (AI) is something of a new frontier for schools. But should we not be finding out as much as we can, so that we can maximise the benefits and avoid the pitfalls? Graham Brown-Martin, author and entrepreneur. Together they gave varied evidence on current and possible future applications of AI in schools. The full session is well worth a listen. What do we really need to know? Should we be fearful, cautious or excited? I caught up with Miles Berry to find out more. How are schools currently using AI? Miles Berry: ‘The AI we have at the moment is still fairly rudimentary – most of the recent developments are in the territory of machine learning: broadly this is about software determining its own rules on the basis of the data it has, rather than just following the rules the programmer gave it initially. 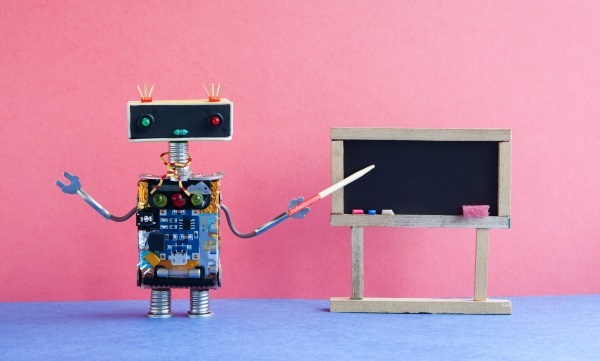 'In the short to medium term, I think we can expect to see AI making teachers’ lives easier, letting them concentrate on the more human side of their role. Although rudimentary, there seems to be quite extensive scope here. How might AI be most beneficial to a child’s education? ‘I guess the benefit comes through the patience, and non-judgemental nature, of machine learning systems. AI can cope with presenting information and providing practice time and time again, when even the most sympathetic human teachers might find their patience running low. Do you think AI will be used more extensively, in the long term, in education? ‘I think this is pretty inevitable, unless as a society we choose not to allow it. If we think about how AI is already impacting on finance, entertainment and healthcare, I think we'll see widespread use of at least some aspects of machine learning in education quite soon – initially as tools to support teachers in the more easily automatable aspects of their role – for example setting and marking work. Will AI eventually replace teachers? giving more personal, subjective feedback on how pupils are doing. How can teachers best understand AI? 'There are some great introductory books available. I'd recommend Luke Dormehl's Thinking Machines (published by Tarcherperigee) and Pedro Domingos' The Master Algorithm (published by Allen Lane) as good starting points. 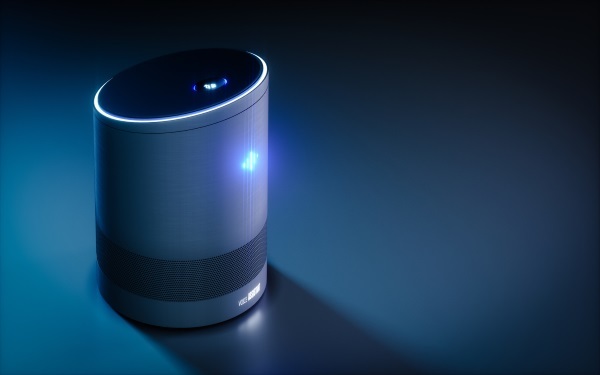 'One readily accessible approach to experimenting with AI in school is to set up a Google Assistant, Apple Siri or Amazon Alexa in class and start getting it to answer some of the questions that come up in a lesson. 'Going a step further, Raspberry Pi's AIY kit lets teachers and students create their own new skills for Google Assistant. What are the main philosophical and ethical dilemmas in current discussions around AI? ‘At the moment, the field is largely unregulated – just as the Warnock Committee laid down the ethical framework for IVF and embryology, we urgently need a similar body to set out the ethical principles for AI. The European Parliament has done good work here, but a proper ethical and legal framework is essential. ‘I think those developing AI systems need to be honest about the assumptions they make and the decisions they take. One of the challenges with machine learning as it stands is that many current approaches make it impossible to understand the rules the machine has developed for itself on the basis of the data. No, it certainly does not! What about longer term issues? ‘Longer term, there are big ethical issues facing us as the machines take over more and more human activities. When computers give every appearance of being conscious, creative entities, what rights and responsibilities would they have? How will we and they co-exist? The notion of a ‘knowledge-based curriculum’ is relevant here. What do we mean by this, and what should schools be looking to do? ‘England's national curriculum has placed a renewed emphasis on knowledge and traditional subject disciplines. Its creators have taken the view that the national curriculum needs to "set out only the essential knowledge that all children should acquire". Its stated aim is to provide pupils with an introduction to the essential knowledge that they need to be educated citizens. It introduces pupils to the best that has been thought and said; and helps engender an appreciation of human creativity and achievement. ‘At the root of this is the notion that a person's ability to take part in and contribute to society is dependent on how much they know – participating in debate, making choices and even reading a quality newspaper are much easier if you've a good level of all-round general knowledge. ‘How this vision is realised is, to a greater or lesser extent, left to schools and teachers to determine for themselves. Many schools and teachers see their responsibility as extending beyond the knowledge core of the curriculum with the opportunities to develop the character, curiosity and creativity that are likely to matter at least as much as the facts when it comes to adult life.